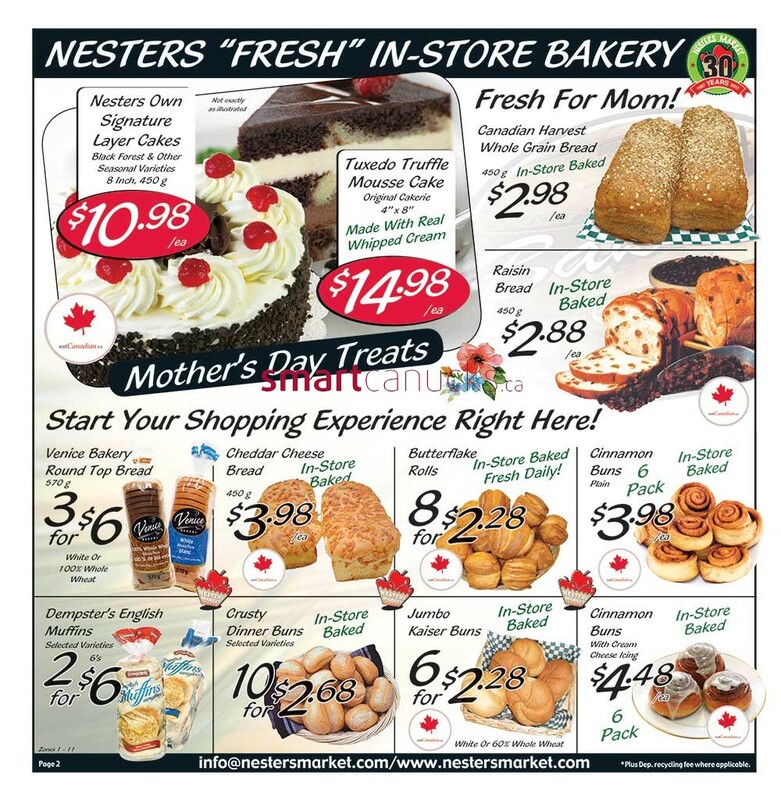 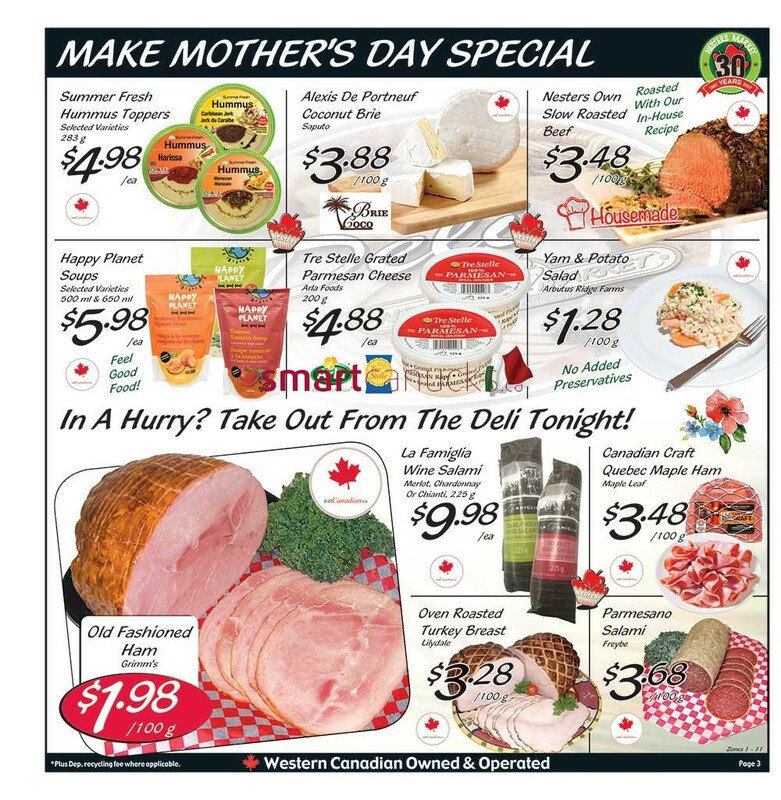 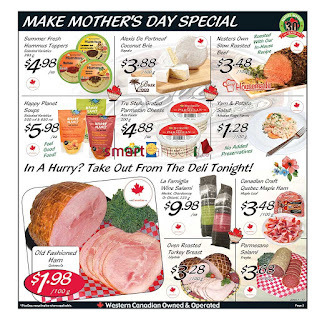 Happy mother's day sunday may 14th 2017 Nesters Flyer Helping to mother's day dinner easy! 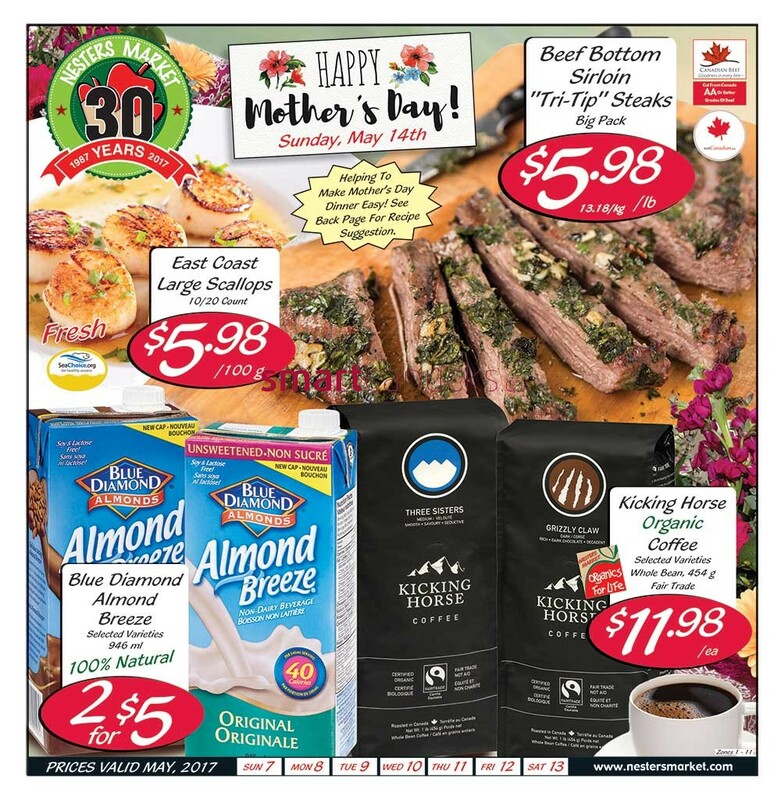 see back page for recipe suggestion. 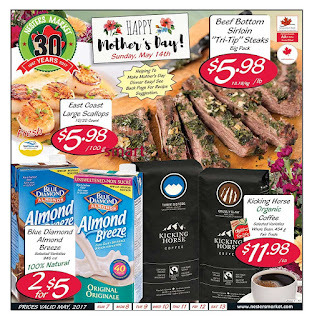 East coast large scallops 10/20 count $5.98 / 100g, Beef bottom sirloin "tri-tip" steaks big pack $5.98 13.18/kg /lb, Blue diamond almond breeze seleted varieties 946 ml 100% natural 2 for $5, Kicking horse organic coffee selected varieties whole bean, 454 g fair trade price $11.98/ea. 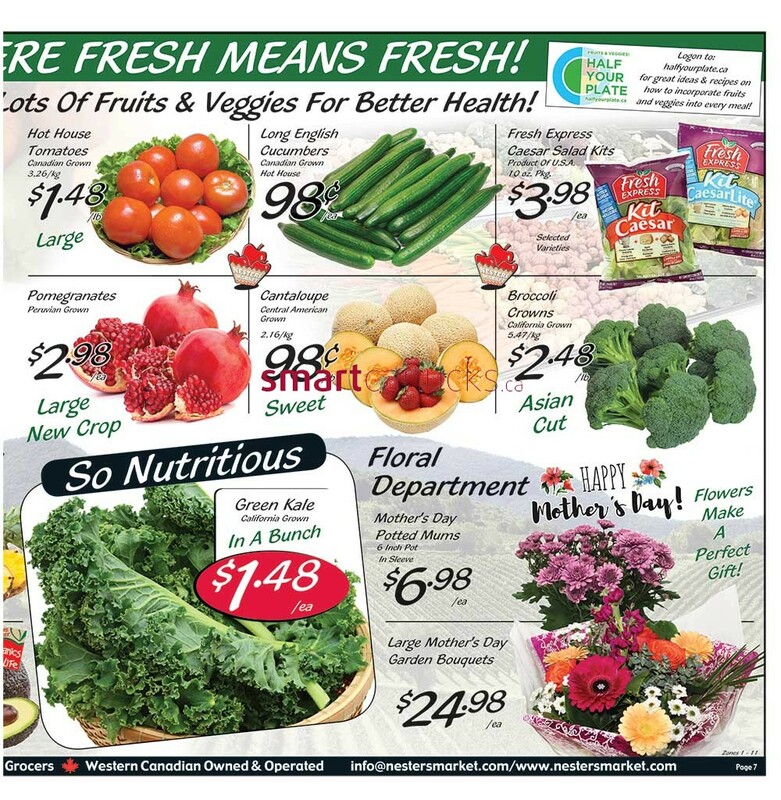 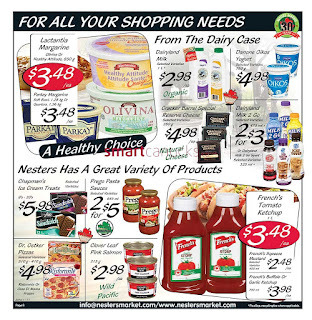 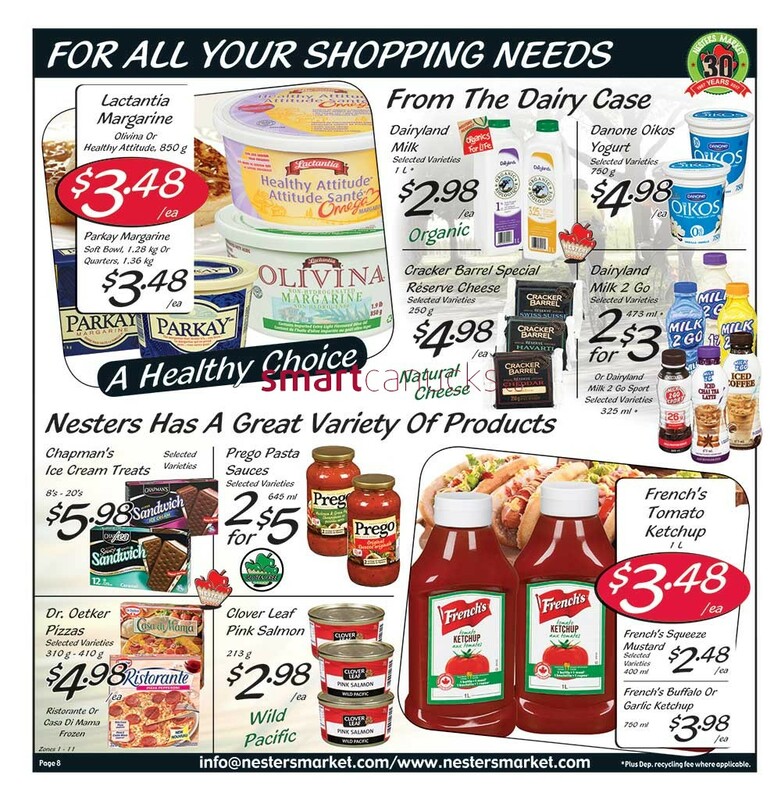 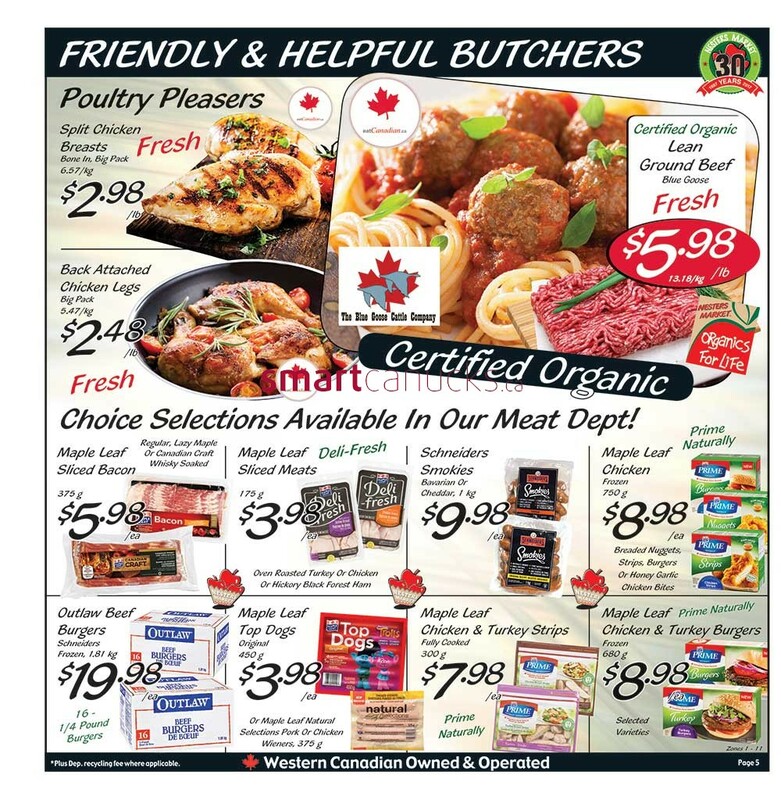 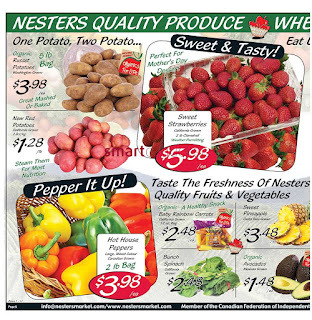 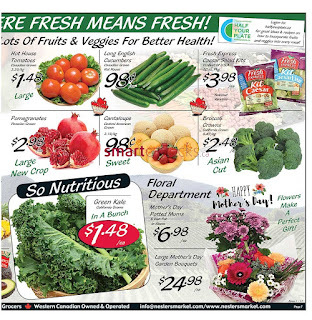 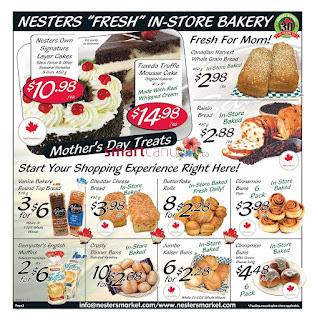 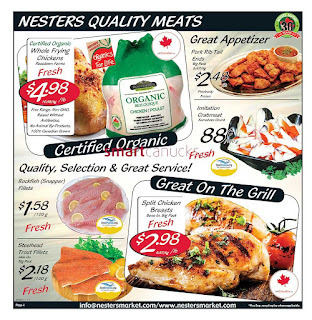 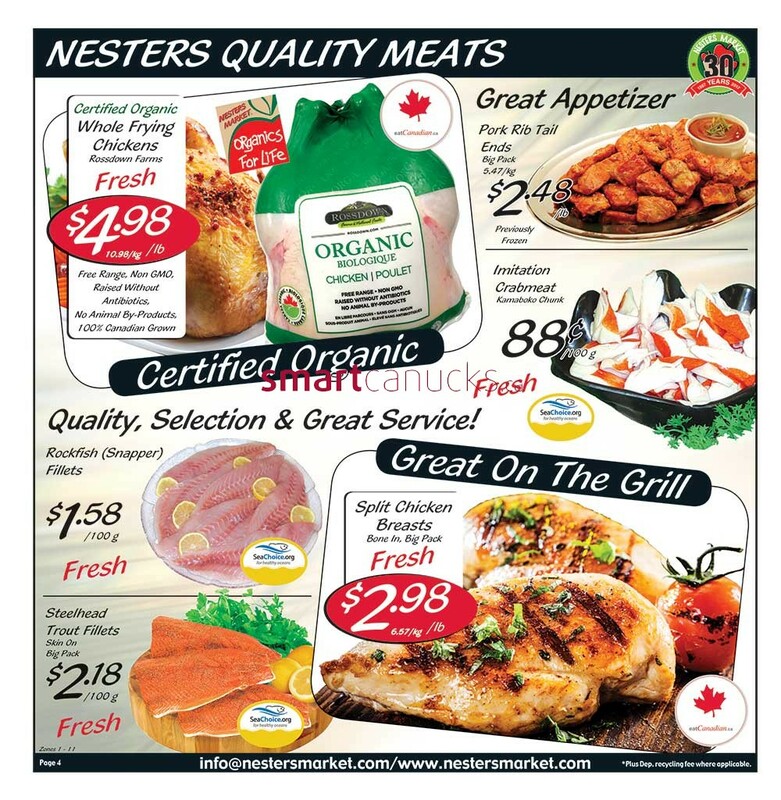 Nesters Market Flyer prices valid May 7 to 13, follow this category for more latest nesters flyer.